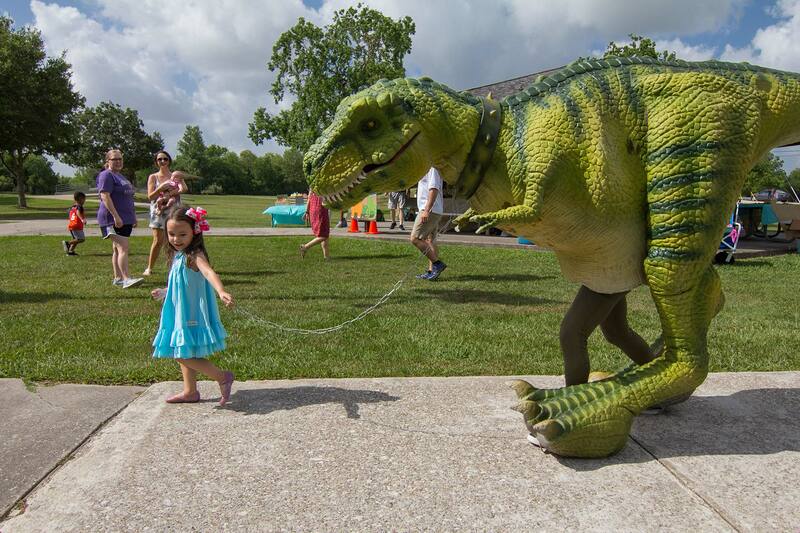 Jurassic Extreme was invited as a special guest to Kayleigh’s birthday party at Pearland’s Centennial Park. 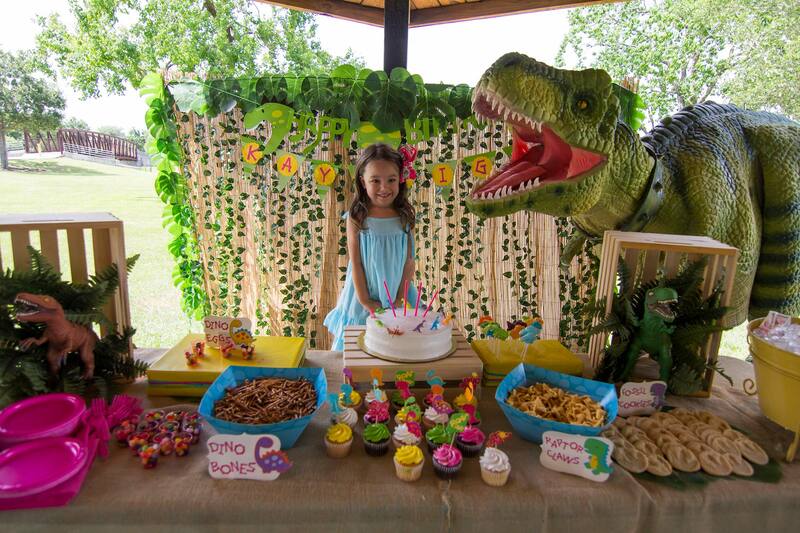 And although our events are always special, this one was unique because our precious birthday girl had previously met Rocco at one of our Memorial City Mall Events and requested us to come to her party as a direct result of fascination at first sight. As soon as she saw Rocco she said “hello” and gave him a big hug as you could hear her friends comments filled with excitement around her. She couldn’t wait to walk him with all her friends. Rocco loved all the attention as always and Kayleigh didn’t want to let him go. As smitten as she was though, she was was a little nervous about feeding Rocco dino-pop. But it wasn’t long until she felt comfortable and all the kids joined in giving him his midday snack. Shortly after Rocco tickled the kids and then played a quick game of hot and cold. Although we had a few kids that tried to cheat, it was still a fun game for Rocco. The most memorable moment had to be when we sang Happy Birthday to Kaleigh. As she blew out her candles and she made her birthday wish, she turned to Rocco and said “Thank-you for coming to my birthday party” and she gave him another big hug. The best part? We caught it on camera! 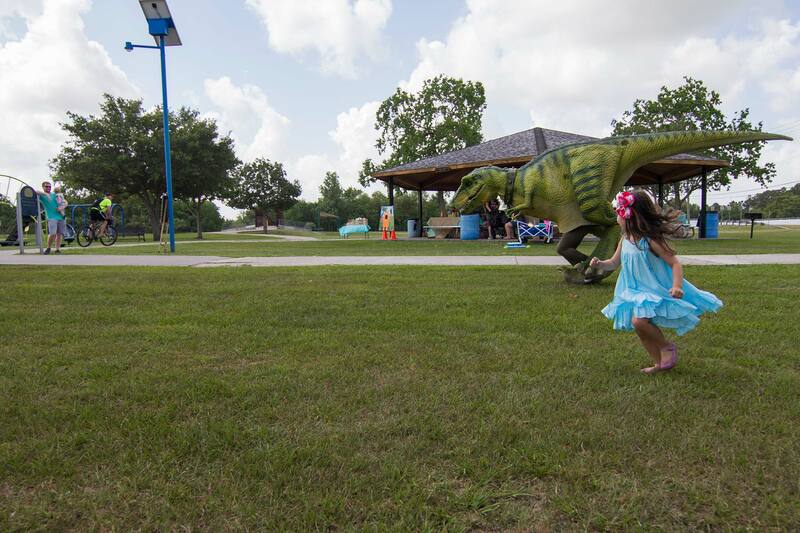 Are you hosting a Houston Kids Birthday Party? 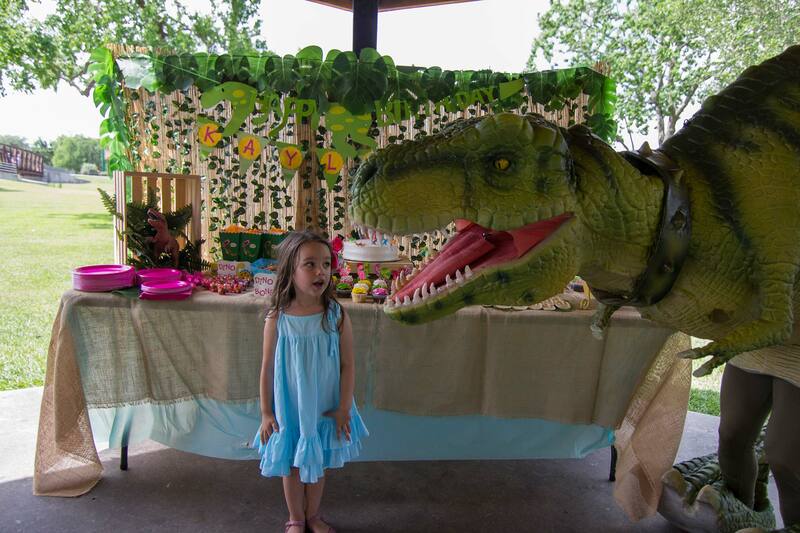 Is it a dinosaur theme party? 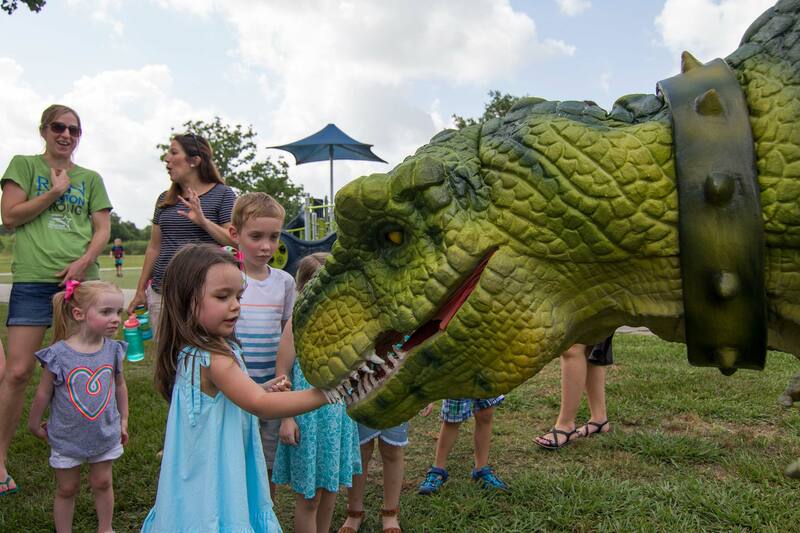 Book Jurassic Extreme’s Walking Dinosaurs today! 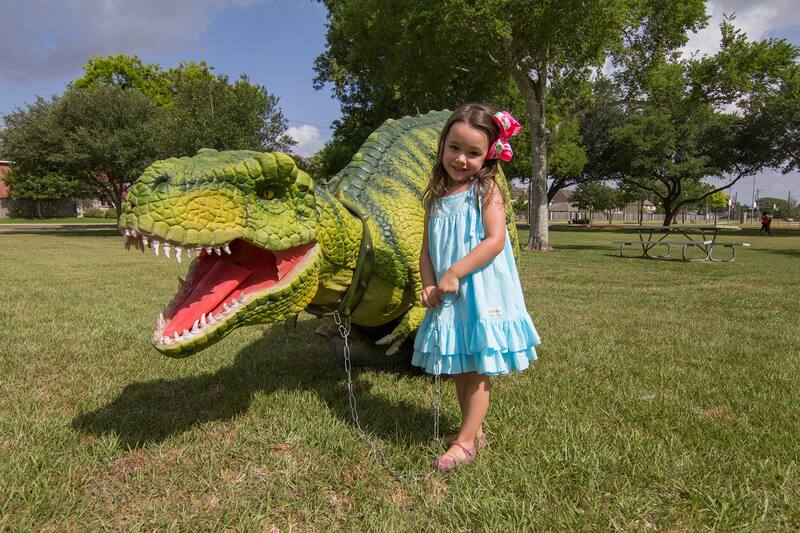 Girl Dinosaur Birthday Party in Houston, Texas. Reese recently made her debut in Houston for a special girl. Not only was this event important because of Sophia’s 9th birthday, but also because our latest addition Reese, was making her very first birthday appearance. Although Reese had been a part of our team for a few weeks already, she wanted to make sure that her first birthday party an unforgettable moment, so she chose Sofia as the lucky girl. Let me take a moment to introduce Reese, our female Dilophosaurus, to you. Whether the double crest on her head or the beautifully vibrant pinkish purplish colors that make her almost an artistic walking dinosaur, there is no denying that Reese is a show stopper! From the moment she greeted Sofia, you could tell all eyes were on her. Jurassic Extreme brought Remy and Rocco to help our newcomer feel at ease. The walking dinosaurs dinosaurs took turns walking with Sofia and her friends, followed by running a few races. We even had some popcorn in hand for Sophia to feed Reese, Remy, and Rocco since they were starving after having such a long day. 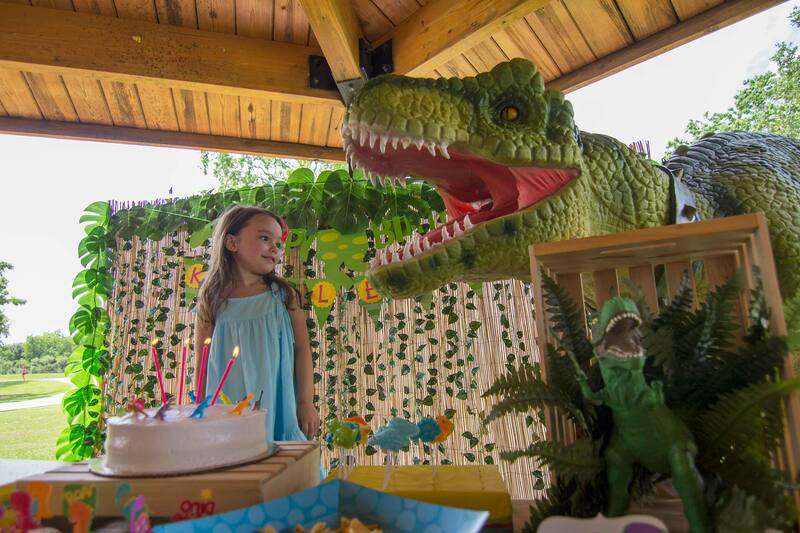 The highlight of this birthday party, was the game of Hide and Seek where our dinosaurs went in search for all the hidden kids. The kids didn’t stop there, we even played a game of soccer while the kids had to make sure our dinosaurs didn’t take the ball away from them. Rocco wanted to roar with the kids, so we lined them up and let them try to scare him off by mimicking his roar. However, the true crowd pleaser was our dance off. For the first time, we had moms, dads, grandmothers, and grandfathers shaking their bon bons to the music with the kids. Remember that monumental moment I mentioned earlier? Well Reese picked the right one with Sophia’s birthday! 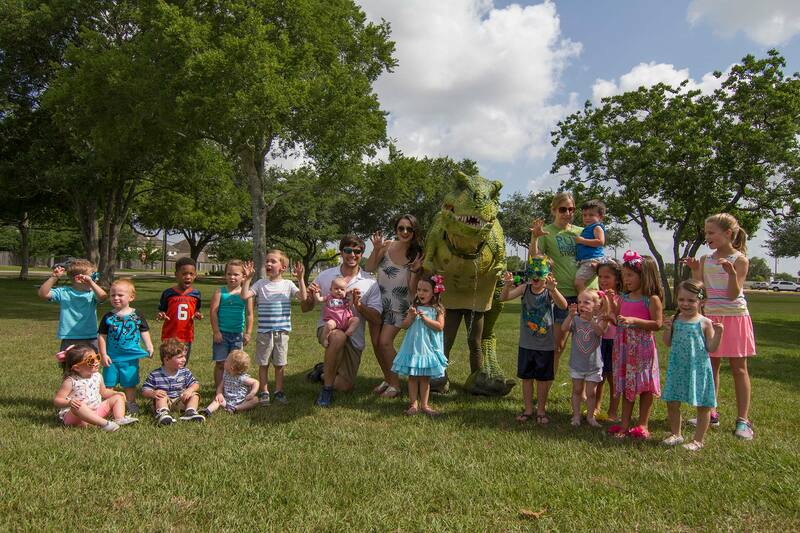 Are you searching for a unique form of entertainment for a kids birthday party in Houston? 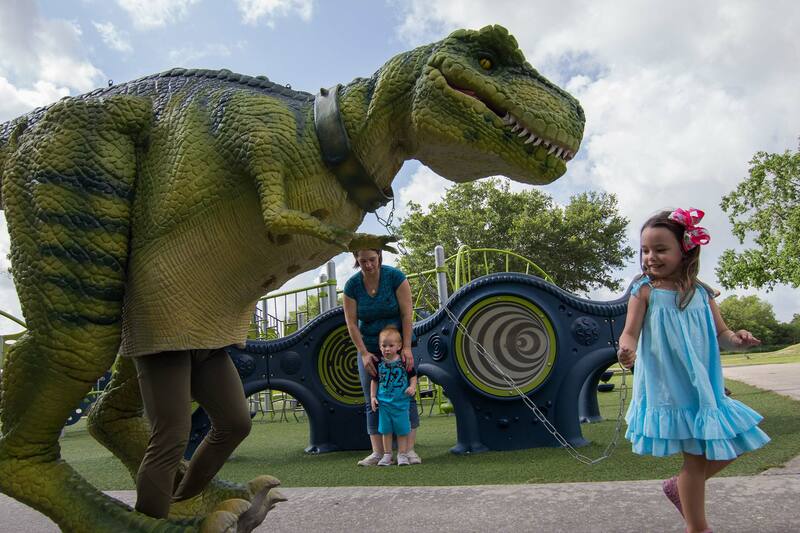 Contact us today to book Jurassic Extreme!